Meet Brian. 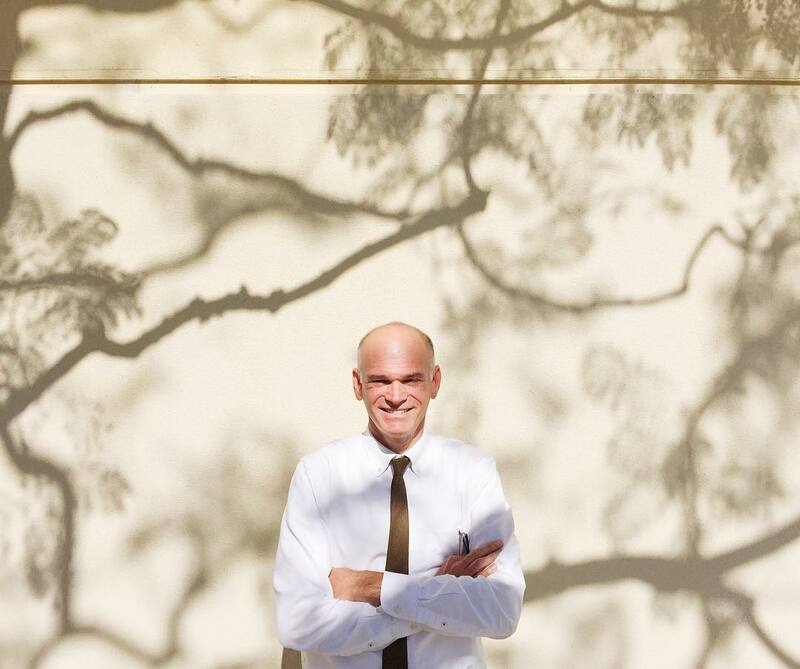 Since August 2015 he’s been the Getty’s manager of grounds and gardens—which means he’s responsible for 700+ acres of land, 100 of which are landscaped and meticulously maintained. Brian recently set aside an hour of his busy morning for a Q&A to answer your questions, which ranged from flowers and plant ID to gardening woes (Japanese beetles, arrgh!). If you have more questions for Brian, leave them in the comments! We have almost 2,000 plants in our plant database, some of them are classified as “inactive” because they have been tough to grow. Typically, if a plant continues to be difficult we would find a replacement because we want to have a high quality show at all times. Right now we are evaluating some lawn spaces because we’d like to be more water conserving and still maintain the intended aesthetic. In the Robert Irwin garden, three intensive planting efforts occur each year: spring, summer, and winter. 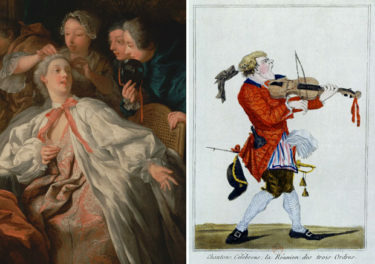 These seasonal shows highlight the design intent in each season. The Robert Irwin garden is unique and whole unto itself, so not be influenced by the architecture or art collections of the Getty. 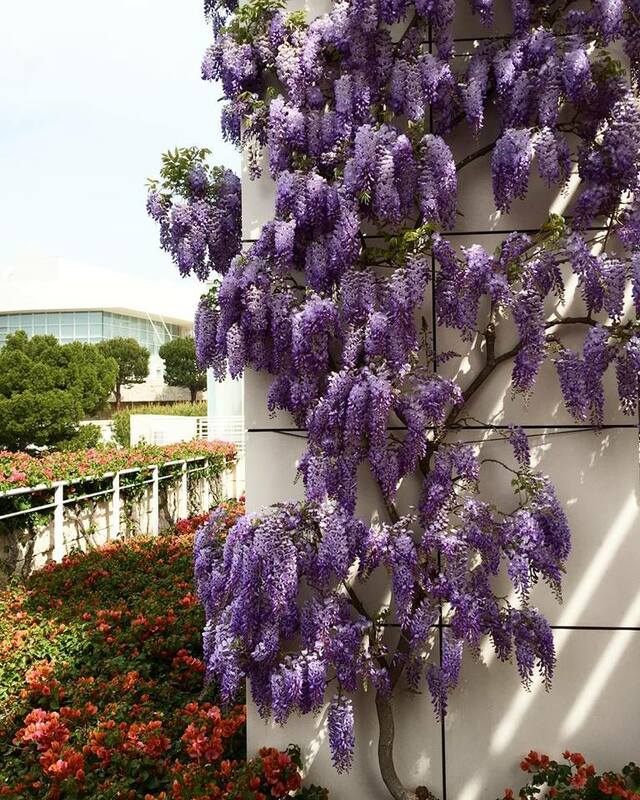 Other landscapes around the Getty Center do reflect what’s occurring with Richard Meier’s modernist architecture and highlight the natural form of many plants. 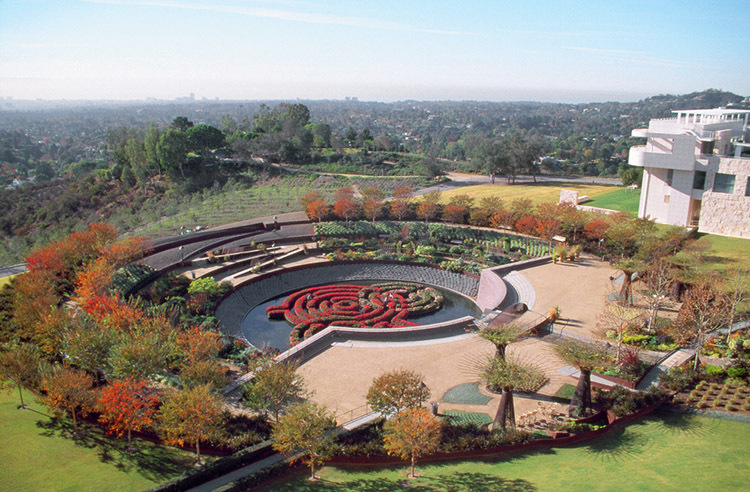 An overhead view of the Central Garden at the Getty Center. He 100% influences the ongoing selections of plantings in the Central Garden, now and into the future. The garden is ever-changing and aligned with the original intent, which allows for transitions to new plants. Not everybody knows that the garden is in the Museum’s permanent collection as a sculpture, which means we will maintain it to Robert Irwin’s intent. 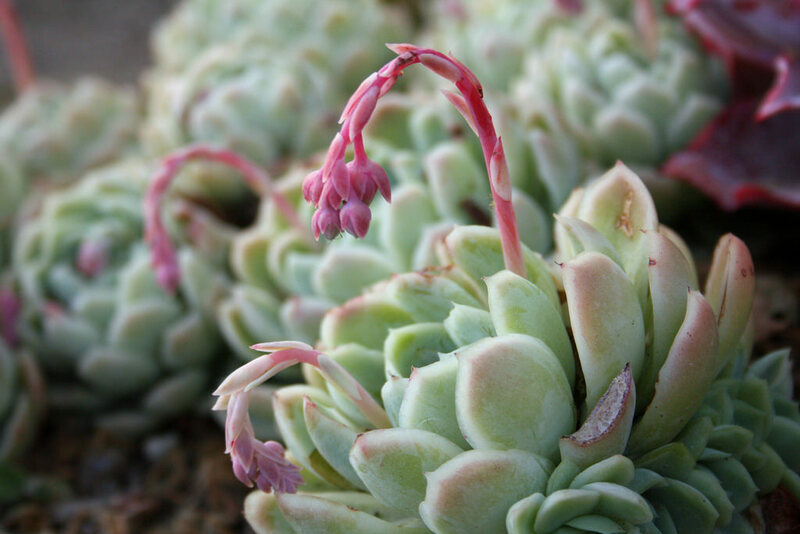 For drought-tolerant plants, they are widely available. If I was going to pick out one nursery for education and an unusual selection of drought-tolerant California native plants, I’d suggest the Theodore Payne Foundation. Check out their website! We’re impacted by deer and snails the most, and a lot of our practices are about exclusion. So in the case of deer we’ve installed a number of fence lines to prevent them from getting to the plants in the first place. And last year we did a large effort of hand-picking snails in the Central Garden, which has been super helpful. At the Villa, in addition to a deer fence line we also shoo the deer away from the gardens almost daily. Wisteria is not difficult to grow, but there can be a bit of a learning curve about how to prune it. There’s a distinction between long shoots and short shoots, and the flowers are held on the short shoots only. Flowers are formed in the fall, and it’s an easy mistake to accidentally cut them off. The ones at the Getty have been pruned by a knowledgeable crew for about 20 years and that’s what’s necessary for great flower show in maturity. Absolutely, the Villa plants in the public areas are from Roman times. We don’t even use modern cultivars of the original species. On the slopes and in the behind-the-scenes areas we often use coastal sage scrub/chaparral plants, which are native. Recently on a plant trip we discovered a species of freesia that would be allowed under our guidelines to be planted at the Getty Villa. We are thrilled! This is the plant that modern freesias were bred from and it has an intense, delightful fragrance. Give us a few years and you’ll see Freesia alba everywhere. Yes, definitely. As a new employee, I look at the slopes as a great opportunity for adding more Santa Monica Mountains native plant material and increasing our biodiversity on the hillsides. I can imagine a future where our hills are equally exciting for tours as the gardens. I’d love to do that one day! 2017 update: We have numerous coast live oaks on the hillsides around the Getty, planted in a grid system. We are very pleased to say they have made it through the drought years successfully and are actively growing again—I’m very pleased with their new growth this spring and vigor. With any large mass planting one would expect some attrition, which I politely call the “vagaries of nature.” I predict a bumper crop of acorns this year, and we have plans to harvest some and invest in a natural process of re-establishing oaks in selected locations. Oaks, with their traditionally long tap lroots, are most successful when grown in situ as opposed to being started in a nursery. 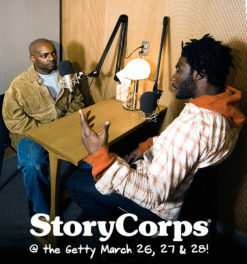 We post all our jobs on getty.edu in the “opportunities” section. Applications all go through the website. 🙂 Another way to get involved in the Getty gardens is to check out docent and volunteer opportunities, as tours go through the Central Garden and campus daily. They’ve been planted here at the Getty for 20 years and they were probably 5 to 10 years when they arrived. I’m quite proud of those trees because of the good work our tree crew has done over the years. Dymondia. It’s a popular ground cover because it’s drought-tolerant, has a flower, can take a minimal amount of foot traffic, and is easy to grow! For us, it’s a stronger winter grower and has been blooming for the last several weeks. Welcome! Society garlic is the plant as you come around into the bowl garden. The scientific name is Tulbaghia violacea. For the most riotous flowering, I suggest guests come in the early mornings of August and September. Although, to contradict myself, I suppose much depends on how one defines “color” in the garden. In the Robert Irwin garden, how color is used based on the leaf, stem, combinations with other plants, and other “painterly” aspects of garden color are all artistically considered integral to the presentation. For gardens that have seasonal change like ours, regular weekly visits will highlight the color changes too! It’s not practical for us to use the garden for food purposes, because the needs of the restaurant are too great for what we could produce. But you can purchase an herb in the Getty Villa gift shop to take home with you! Between the Getty Center and Getty Villa, there might be about 100 acres to maintain in garden landscapes, so our amount of water is large. I’m confident with our water-conservation practices that our water use is as low as possible. We are very interested in water conservation. We water as little as possible. We’ve invested in a new irrigation system with a weather system that monitors the water that evaporates from the soil, measures rain, and helps us be very specific about how we add water to the gardens. We have and will continue to modify our landscapes to be more drought-tolerant. Right now we are trialing a small patch of buffalo grass as a lawn replacement. I’m optimistic that we’ll be able to use this in other locations as well. We have a combination of irrigation systems: drip, subirrigation, sprinklers, rotary heads, and hand-watering for pots. Most of our hillsides, which is much of the 700 acres, is not irrigated and has been turned off for many years because it’s best practice for the plants and is good for water conservation. If you happen to see a sprinkler running on the hillside, it means we are testing the system, because we keep it around for fire remediation. We don’t use the irrigation system in this manner. We do use organic and inorganic forms of fertilizer on a case by case basis, according to best practices and the need. Historic horticulturists’ best practices are aligned with trendy water conservation techniques, IPM pest control, and smart plant selection. We’ve always had a focus on best practices which considers the fundamentals of plant growth—water, light, and fertilizer. 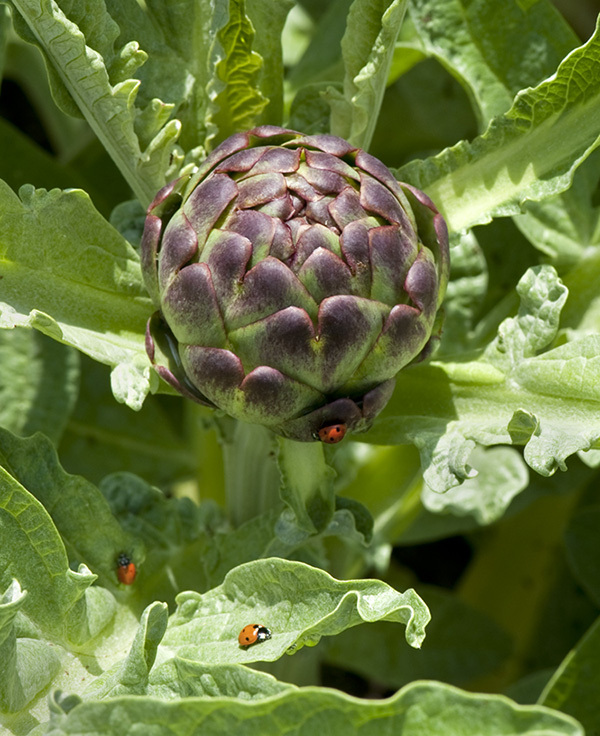 If you as a gardener can meet these needs the issues of pest control or disease are greatly minimized. For example, we are great believers in heavy mulching which reduces water loss, prevents weeds, improves the soil texture, looks better than bare soil, and is really cost effective. Assuming your plant is healthy and mature and growing in the proper sun, most herbs are herbaceous perennials, which means they can be cut back completely to the ground without any consequence. You will notice they will take some time to respond, so you need to accept they may look a little barren for a time. Sometimes gardeners will phase their pruning efforts, so not everything looks barren at the same time. Angel’s trumpet (brugmansia) certainly can get much larger here than in your climate. They very much enjoy the heat and bright sunlight. Fun fact: Angel’s trumpet is bat pollinated, which is why you might have noticed that your plant only smells in the evenings. Hand-picking Japanese beetles is often practical, but a laborious way to deal with it. Their eggs are everywhere in your neighborhood and elsewhere, so it becomes about managing your plant rather than finding the eggs. Like a lot of drought-tolerant plants, bougainvillea acts a little different in a pot than in the soil. In a pot, bougainvillea will drop most of its leaves when it dries out, so I’m not surprised by what you describe. Often times a very large pot can help prevent a damaging cycle of wet and dry soil and promote steady growth and health. Generally, plants that flower through many seasons are good for bees and butterflies. Try salvias or hyssops or many members of the daisy family. Also consider growing plants for the butterflies in the larval stage and be willing to accept some of the damage they cause by eating the leaves. Have another question for Brian? Leave it in the comments below! I see a theme of “3” repeated in the Central Garden: 3 rings of the azalea maze, 3 parts to the sculpture (stream, plaza and bowl), and 3 bougainvillea arbors on each side of the plaza. 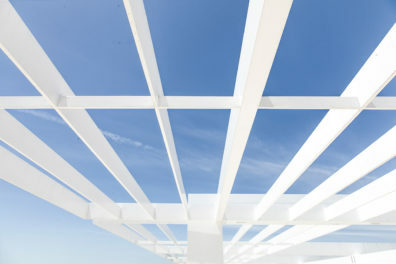 Why did Robert Irwin choose 3 rings for the azalea maze, and this theme of 3 repeated? Jim is confident Robert Irwin has not spoken about a 3 theme and to his knowledge not something he was deliberately trying to do. Jim went on to say that Robert Irwin “would be stoked that you are looking and perceiving!” That DOES mean the most to him. Robert Irwin was not so much trying to direct your attention about allow you to have your own, engaged, perception of the Central Garden. Hello Brian, That was such a wonderful read! Thank you so very much for answering all our questions! I have already learnt a great deal just from those few questions. I am a Docent at the Getty center & I am about to start my training for my Garden tour to share with the wonderful visitors, I am extremely excited about this! I really would love to come along & volunteer working in the garden so that I can learn even more about the planting if this is possible. I am extremely hard working & have been a Gardener all my life from the age of 3 years when I could grip my very own garden tools. Brian how can I go about this? Kind regards. The sculptures were designed by Robert Irwin, the artist who designed the Central Garden. Hope this helps! Hi Brian – regarding the Robert Irwin’s rebar bougainvillea ‘trees’ , do you know how to contact Mr Irwin to inquire about these sculptures directly? What is the name of the plant on the left side upper level leading down to the bowl? They are in abundance in a drought tolerant setting. Dark green spiked leaves in a fountain shape with what looks like a lavender flower, although this wasn’t obvious when I was there on Thursday. Hi Madeleine! You may be thinking of either Chondropetalum tectorum (Cape Rush) or the variegated society garlic (Tulbaughia violaceae), the society garlic is the plant with the lavender flowers. Hope this helps! 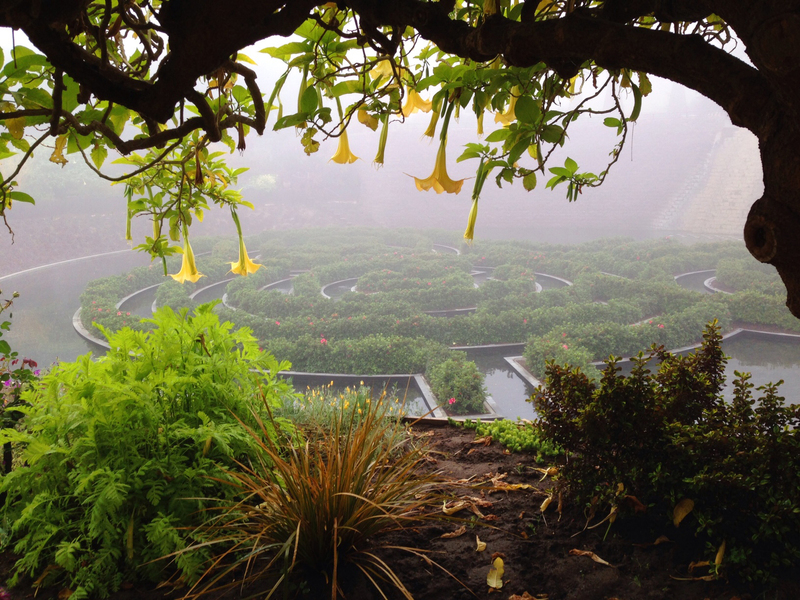 What variety(ies) of potato vine(s) did Robert Irwin use in his garden design? In case also of interest, there are also varieties of Ipomoea (sweet potato, morning glory): I. batatas, I. lobata, and I. purpurea. Thank you for your quick and informative reply. My hot and sunny location should be perfect and I look forward to finding and planting them here. That the vines will flower year round is a bonus that I did not know about. which grass species is in the main grassy area? Sorry about our delay in getting back to you! The grass that surrounds the Central Garden is Bermuda grass. Any idea what variety of Bermuda grass is around the Central Garden? Brian says that the Bermuda is predominately TifWay by Pacific Sod. It’s a hybrid Bermuda grass. What is the purpose of the rigid mesh post near the bridge? My friend thinks it’s a climbing plant support but I think it’s for cleaning your shoes to prevent cross contamination. If you’re thinking of the bridge over the waterfall, we do grow vines for plant support on either side of the bridge. If you’re thinking about the little metal posts near the zig zagging foot path across from the bridge over the waterfall, they are for safety…to prevent visitors from accidentally tripping over the metal path edges. These are a subtle safety feature! The slanted railing design mixed with the steel edging on the path led became a tripping hazard, so these posts were installed as a visual cue to help visitors avoid the hazard. I would love to know which is the best time to view Spring flowers and Azalea maze in garden. Early, middle or end of March, April??? Hello Edith! Thank you for your comment. Our garden expert is expecting full bloom from the azalea maze as soon as early February. He said the azaleas were hand pruned this year which normally yields the best results. Hope you can visit! iS IT POSSIBLE TO SET UP AN EASEL AND PAINT IN THE GARDEN? This is a hardscape question. Are all the raised beds made from metal or is it a material painted like metal? Hi Frank! In the Central Garden, Corten steel is the metal used for the planter beds. This is a very apparent feature of the garden and integral to Robert Irwin’s design concept. Corten Steel is silver after manufacturing and then will naturally develop a rust patina which serve to protect the steel from further deterioration. This is a long-lasting, durable material. I’m looking to replace what used to be a lawn in my front yard with something more drought tolerant. I’m curious what the ground cover is that is between the grass and the stream landscaping as you move down the garden (the stream path crosses it several times). It is a grass-like plant, with green and white silver leaves and yellow flowers. What is it called and what is the water use like? What is the botanical name of the trees that are planted in the lower circular garden around the azalea sculpture? We have a sell out group of gardeners from around the world. a preparation presentation before they arrive. I visited the Getty Center last week with a dozen garden lovers on a tour of California gardens. We noticed a ground covering Oxalis with purple foliage and pink flowers with which none of us were familiar. It appears to spread by stolons. Can you please identify it for us? Hi Brian! I believe you were looking at Oxalis purpurea ‘Garnet.’ Hope this helps! Thanks for visiting. Brian, Can you identify a plant for me? We saw it at the Getty today and the leaf shape is so unusual – green, slightly fuzzy, large about 6”, firm, heart shape that looks like a leaf embossed upon another leaf, with 4 leaves coming off a woody type stem. I believe it was a shrub of some sort. We think we saw it at the southern end of the gardens, possibly in its own pot. I tried researching it on the web but can’t locate anything similar. I have a photo but don’t know how to send that to you. Thanks! I visited recently. The gardens are marvelous. I have a side question. Could you tell me the name of the patio furniture maker? I would appreciate it very much. The flowers on your pomegranates amazed me. I had several last year, but lots of fruit the previous year. A sparse year again now, I live in LAGUNA Beach—–any advice to promote flowering? What type of grass is used in the garden it looks beautiful and tough too can you please let me know the name and also does that require lot of care? Our grounds supervisor says that the lawn is Tifgreen bermudagrass. A bit more info: Tifgreen is a hybrid type bermudagrass cultivar, created from a cross of African bermudagrass (Cynodon transvaalensis) and common bermudagrass (Cynodon dactylon). African bermudagrass is fine textured and not very stress tolerant, whereas common bermudagrass is coarse textured and extremely tolerant of stress and pests. The result is a fine textured grass with a dense and aggressive growth habit. It is drought tolerant and has fewer pest and disease problems than cool-season grasses which does make it a little easier to care for. Tifgreen does require full sun and is not shade tolerant. 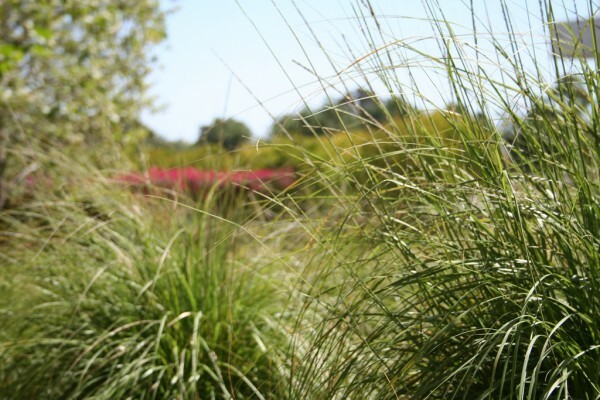 This is a grass that thrives in warmer climates and is a perfect selection for Southern California! with all the LA fires and so many wild animals displaced I can see how the Getty Garden would be a sanctuary for creatures in need of water and food. I have great respect for Robert Irwin, and going forward I’d love to see added ways in which animals could also enter this “nature-inspired” work of art. Saw a velvety/furry green leaves plant that has embossed leaf on a leaf. Can you please tell me the name of that plant. Can it grow in Chicago? I was at the Getty Villa yesterday and saw a beautiful white flower that had clusters of blooms is what looked Ike tiny little roses! Curious as to what that is!? Hi Penny! Thank you for your comment. The paperwhites (Narcissus papyraceus) are blooming now in the Outer Peristyle Garden. The particular ones in this garden are called ‘double’ because the number of petals are doubled (or more) per flower, which gives them a rose-like appearance. The same process happened with roses, which are normally of only 5 petals.